On a rainy afternoon in the Common. Hummmm, and what about the delicious scent of the grass after the rain?.. Wonderful fresh Autumn picture!I like a lot Autumn colors, and here it's the same, I've already seen some beautiful oranges. I'll be in Boston this weekend. 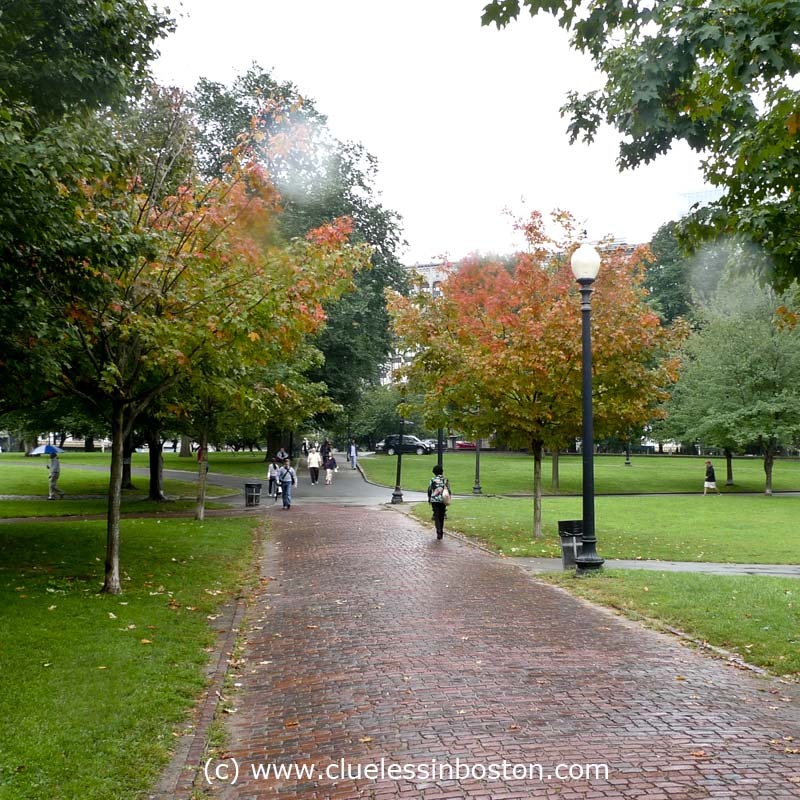 I"m looking forward to the foliage but not the rain. A nice rainy day picture, Clueless. It is a surprise seeing those reddish trees. In Hartford, there is just a hint so far. The beauty of autumn reconciles me with wind and cold and winter to follow. So beautiful.